Actually infinite is a fun game I don't care what anybody says. I thinks its just fun for people to have something to hate on every once in a while. As a matter of fact it was Street Fighter V before now that it's being accepted, irony is people desperately wanted a fighting game to come along and kill it, one of those fighting games people rooted for was MvCI. Y'know what ? Your right. Thanks. Infinite may not be the best game but still might be fun...though I'm not a fan of mega man. I'll probably buy it after I get my hands on Dragon Ball FighterZ. So... there was no Rockman representation at the CAPCOM CAFE up until now? Man! Those guys really have no idea how to handle their brands, no wonder they're circling the drain. What the heck do you mean collaboration, its freaken Capcom, they have to collaborate with Mega Man now? Well, the Capcom isn't wholly owned by Capcom. 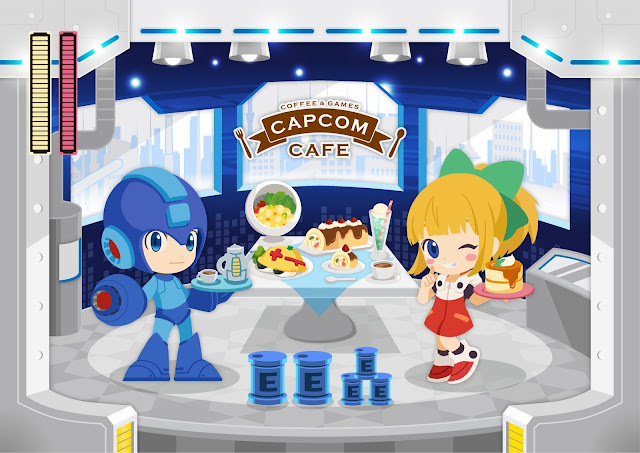 Food and drinks are themed after Capcom franchises in cycles or for special occasions. See, this sort of thing is why I think the art style for 11 is good. It can be translated to different designs while still retaining a bit of its signature look to know what its based off. Good flexibility. As others have said though, the fact that this is a bit of a stand out thing kinda shows how the series is handled in their hands. A red gauge with no Rush in sight. Ohmigosh. Roll co-op? Even just playable Roll would be fine. That's how most Roll fans think sadly. They either want to shtip Roll or be her, either way they are not really Mega Man fans.